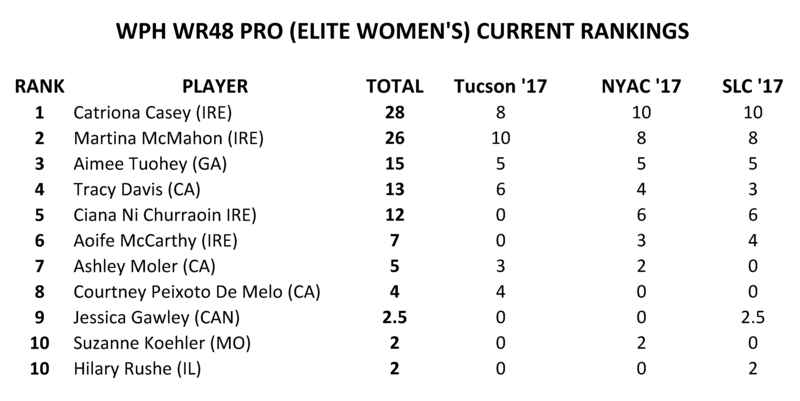 Tucson, AZ, WPH Press, 11/16/17- The ’17 Tucson Memorial featured the largest prize purse of the season and the best R48 Men’s Pro and WR48 stars in the sport. 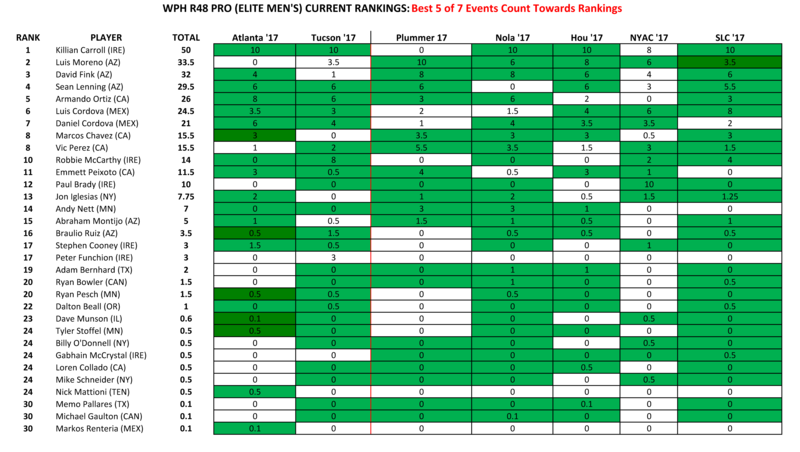 Killian Carroll captured his fifth R48 title in six starts in 2017, outclassing the strong field of R48 stars en route to solidifying his spot at the top of the sport. Martina McMahon captured her first WR48 title in dramatic fashion, overcoming a one-game and 0-6 second game deficit to outscore Catriona Casey 30-6 in the final 36 points of the match to clinch her maiden WR48 title. 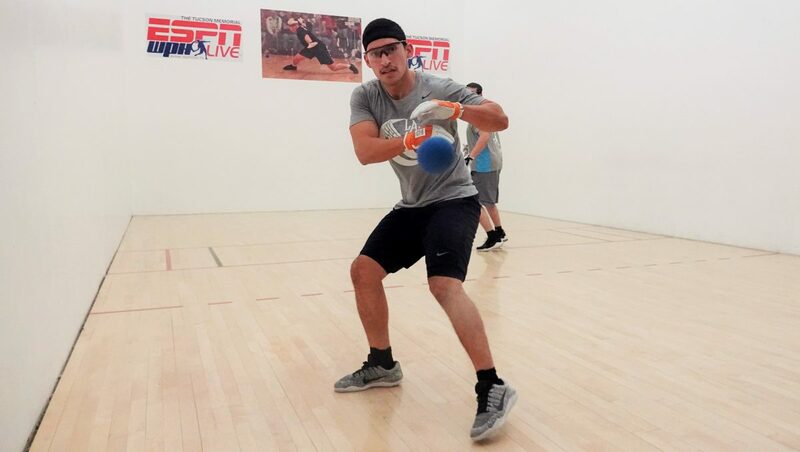 The Peixotos went in different directions on the Race 4 Eight rankings, as Emmett Peixoto exited the R48 Elite 8 for the first time since 2012 and Courtney Peixoto De Melo climbed into the WR48 Elite 8 for the first time since 2015. Meanwhile, 43-year old SR48 #1 Marcos Chavez climbed into the R48 Elite 8 for the first time following the ’17 Tucson Memorial. Check out all of the updated Race 4 Eight rankings below.